Following in the footsteps of Madden NFL 13, which launched to record high sales numbers, comes another strong debut for EA Sports with NHL 13. Despite the league lockout and threat of no season the game pulled in a 9% increase in its first week out over the same period last year. Consumers of NHL 13 have already created nearly 50K GM Connected leagues have played over 3.7 million online games. The Rangers, Flyers, and Penguins are the most popular teams used across all modes. Concerns over a video game representation of a sport heading into a lockout were always greatly tempered with NHL 13 compared to Madden NFL 12 (which avoided one extending into the season) and NBA 2K12 (which was adversely affected early on by the absence of the league). The base of consumers for NHL – which is less influenced by a casual contingent that would avoid the game due to strife or even the loss of a season – proved to be dedicated enough to support the product in record numbers. 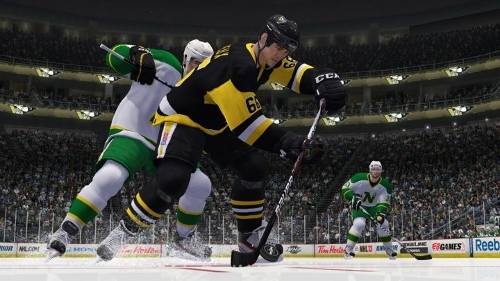 It has certainly helped that NHL 13 succeeded on delivering a rich feature set and has garnered generally positive reviews even though the consensus has come in slightly lower compared to NHL 12.